Favourite Animal: Agosta’s favourite animal is a dog. She has a yellow lab named Rocky. 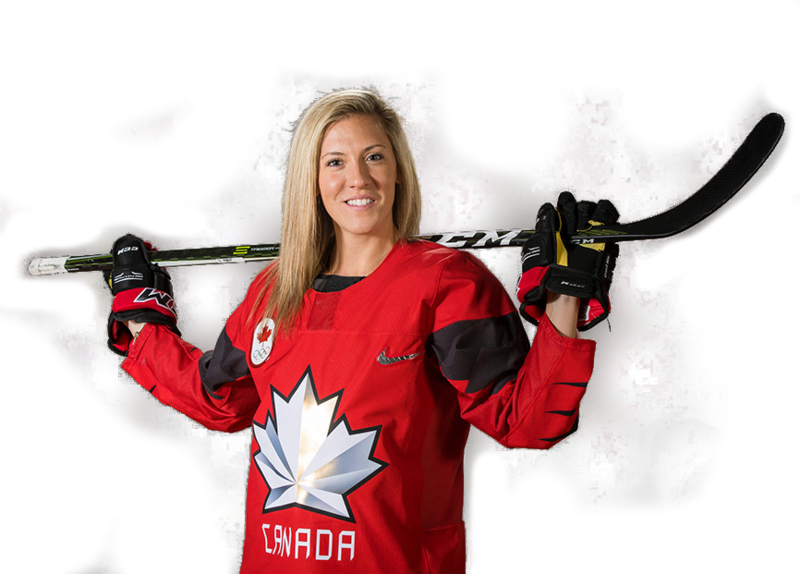 Meghan Agosta has played in four Olympic Winter Games, winning gold in Turin 2006, Vancouver 2010, Sochi 2014 and recently won a silver medal in Pyongchang, South Korea. Meghan Agosta has been a member of the Canadian Women’s National Hockey Team since 2004. She has played in four Olympic Winter Games, winning gold in Turin 2006, Vancouver 2010, Sochi 2014 and recently won a silver medal in Pyongchang, South Korea. With nine goals and six assists, she was the top scorer at the 2010 Olympic Winter Games and was voted Most Valuable Player and Best Forward as well as being named to the Media All-Star Team. Agosta has also been a part of eight World Championship teams, winning gold in 2007 and 2012 to go with silver medals. Want to learn more than the basics for hockey? Skate, shoot and score like an Olympic athlete. The Agosta's High Performance Hockey Academy offers boys and girls of all ages the opportunity to learn the game of hockey while concentrating specifically on skating with and without the puck. The Meghan Agosta Foundation was created to provide an opportunity for young children who are interested in playing hockey but are unable to do so due to financial reasons. Each year, Meghan will reach out to various associations across Canada to select children who are in need of financial assistance in order to be able to afford to play the great sport of hockey. Playing for Canada has always been Meghan’s dream since she was a little girl. As a 3-time Olympic gold medalist and a 1-time silver medalist, her dream has come true. Contact Meghan to speak with your organization about her experiences and her insights into how to become a champion in your field. Teamwork, leadership, goal setting and sacrifice are not only business terms, but are also integral parts of a gold medal hockey team. Call or email to book Meghan to inspire your team members.